The Congress of Industrial Organizations (CIO) encompassed the largest sustained surge of worker organization in American history. Robert Zieger charts the rise of this industrial union movement, from the founding of the CIO by John L. Lewis in 1935 to its merger under Walter Reuther with the American Federation of Labor in 1955. Exploring themes of race and gender, Zieger combines the institutional history of the CIO with vivid depictions of working-class life in this critical period. 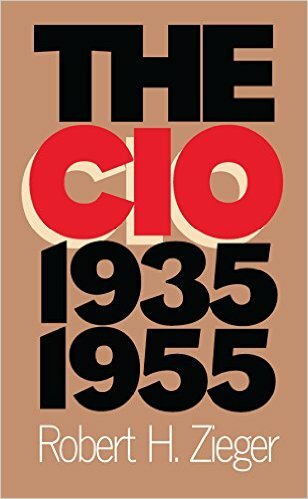 Zieger details the ideological conflicts that racked the CIO even as its leaders strove to establish a labor presence at the heart of the U.S. economic system. Stressing the efforts of industrial unionists such as Sidney Hillman and Philip Murray to forge potent instruments of political action, he assesses the CIO's vital role in shaping the postwar political and international order. Zieger's analysis also contributes to current debates over labor law reform, the collective bargaining system, and the role of organized labor in a changing economy.